Unicorns are special creatures – mythical ones, of course, but they have definitely captured the imagination of the masses over the years. In fact, in certain games, unicorns are depicted as pooping rainbows. Of course, this bust of a unicorn is not going to poop anything at all, but one “magical” aspect of it is, it can end up holding paperclips. 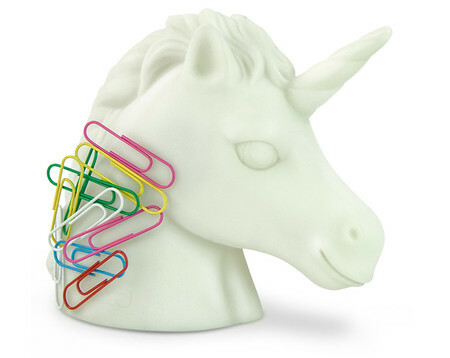 The $11.99 Unicorn Paperclip Holder is actually a magnet that will be able to ensure that all paperclips in the vicinity will be able to remain stuck on it when it is not required.